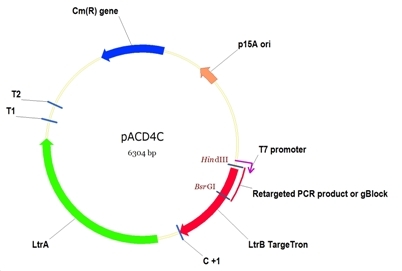 Retargeted fragment of a TargeTron is constructed by PCR or ordered as a gBlock Gene Fragments from IDT, digested with appropriate enzymes (e.g. HindIII and BsrGI) and swapped for the corresponding fragment of a donor plasmid. Retargeted fragment of a TargeTron is constructed by PCR or ordered as a gBlock Gene Fragments from IDT, digested with appropriate enzymes (e.g. 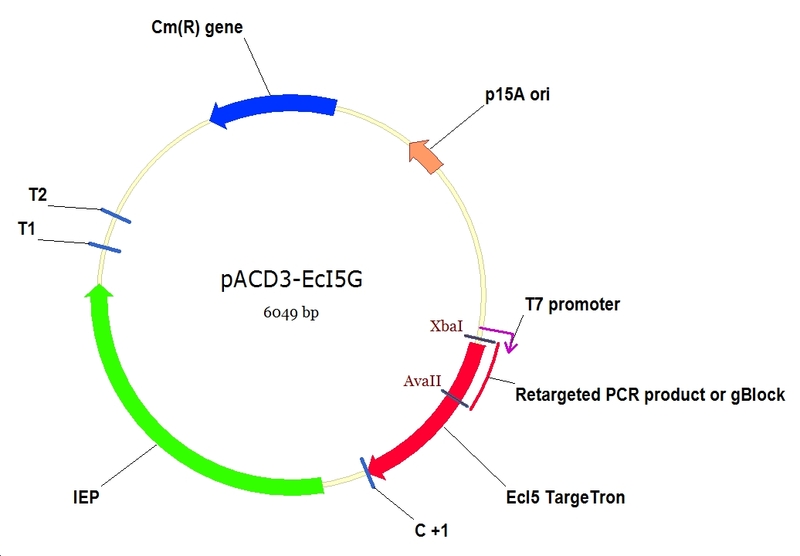 XbaI and AvaII) and swapped for the corresponding fragment of a donor plasmid.